Garmin says the Instinct is built to military standards for thermal, shock, and water resistance (the latter rated to 100 meters). It comes with a fiber reinforced polymer case, silicon band, and a display the company says is “chemically strengthened” as well as scratch resistant. It has a battery life of up to 14 days when in smartwatch mode, up to 16 hours in GPS mode, and up to 40 hours in UltraTrac mode, which periodically turns off GPS to save battery power. The watch has smart connectivity and when paired with a compatible phone, can receive notifications for texts, emails, and more. It’s also compatible with other Garmin devices like the company’s VIRB cameras, so you can do things like control a VIRB’s start and stop function right from the Instinct. 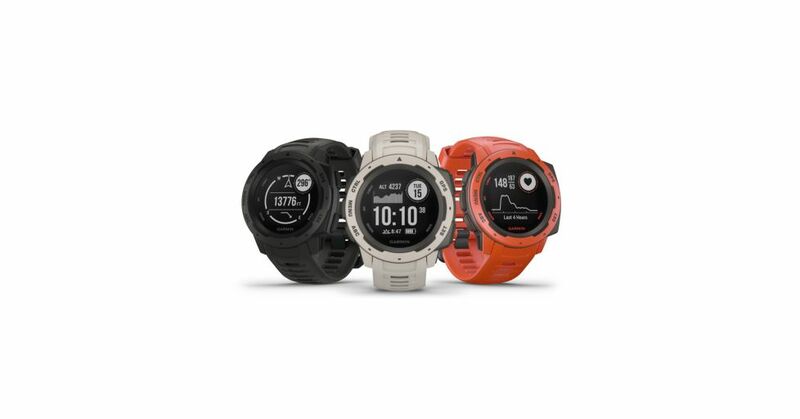 The Garmin Instinct watch is available in Graphite, Tundra, and Flame Red. It’s priced at $299.99 and is already available from some online fitness and outdoors vendors. Venom DVD release date: When is Venom released on DVD – Is there a special edition?